Freshman year is a stressful time for a new college kid. Let's make where to eat one less thing to worry about! Right across the street from campus, J&T’s serves quick and easy food for all tastebuds. Offering an extensive array of Thai food catered to your likeness, they can adjust spice level and add any meats, seafood or even tofu! The noodle dishes are to die for and the curry is out-of-this-world. Plus, it’s right in line with a college student budget. 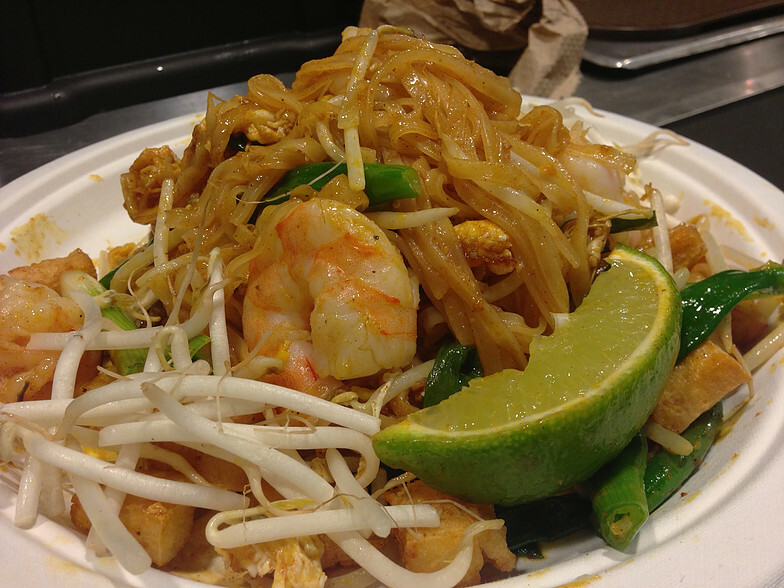 My personal favorite is the chicken pad thai. If you haven’t already heard of Baked Bear, here’s your official tip-off. 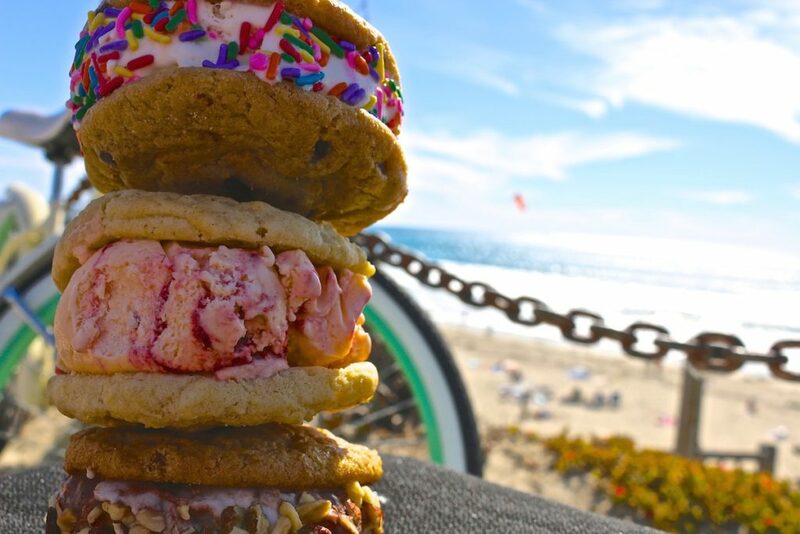 Located right between the start of PB and the end of Mission beach, The Baked Bear offers ice cream sandwiches custom made by your own imagination. Not just cookies either! Options include brownies, and now even donuts. You can mix and match if you’re on the indecisive side. Trust me, it’s gonna be your savior during finals. Owned and operated by a USD alum, Olive Cafe serves breakfast, lunch and ice cream creations with a homey and welcoming atmosphere. A spot frequented by Toreros in the heart of Mission Beach, it also offers an added bonus of campus cash! That’s right, you can swipe your student card instead of your credit card at this off-campus location. Serving incredible omelettes, breakfast burritos and comfort food lunches, Olive creates a home for Toreros to socialize and get a great home cooked meal off-campus. Another conveniently located spot is, Urbane Cafe. Right at the bottom of the Linda Vista hill, you can pretty much count on seeing some fellow students grabbing a quick bite. 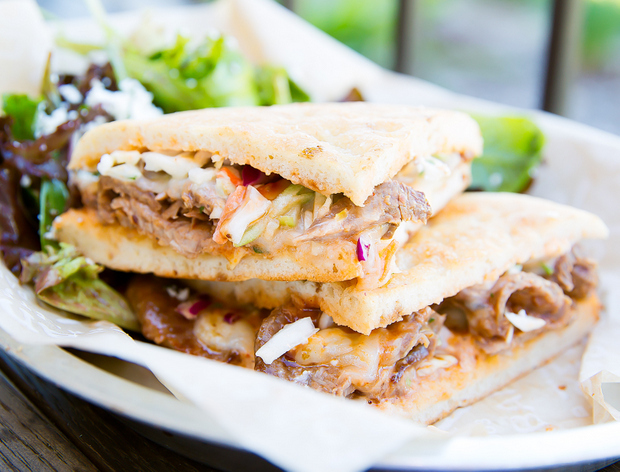 Offering delicious sandwiches and giant, filling salads, you’ll be ready to hit the books after a stop at Urbane. Looking for brunch with a view? Well, in San Diego, you’ll come to find that’s not hard to do. 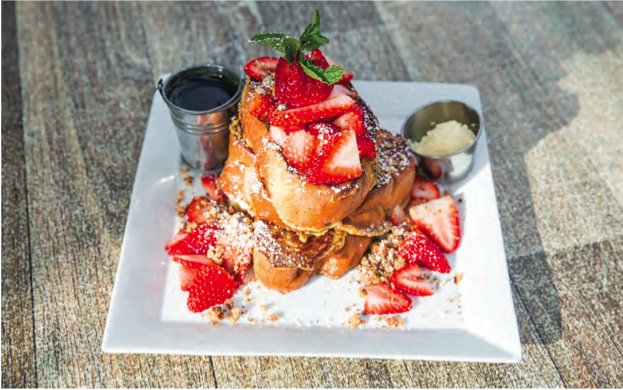 One of the greatest brunch spots, located in the center of La Jolla, is Cody’s. Views of the cove, combined with fresh, creative brunch dishes makes for a great morning. #SpoonTip: Make sure to get a jump-start on your day, because the line gets cray cray after about 10 o’clock. Another campus cash accepting gem, Sushi Freak offers great sushi for a great price. Located at the bottom of the Linda Vista hill in the same shopping center as Urbane, walking is doable if you’re carless and can’t bum a ride. 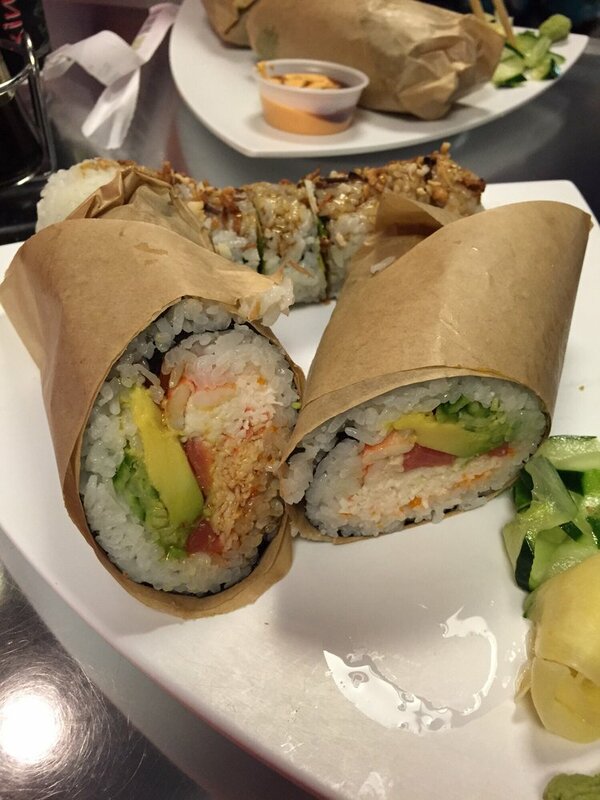 In addition to a wide selection of rolls, they also offer sushiritos! 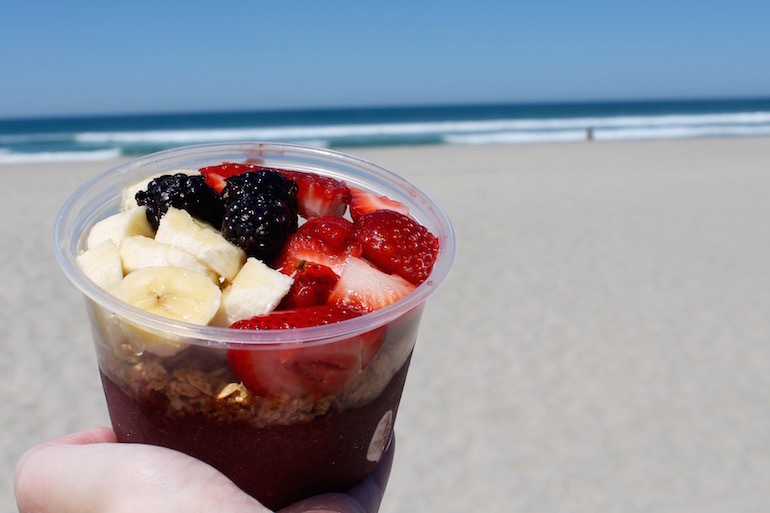 Another Mission Beach treasure, Coffee Break offers breakfast sandwiches, smoothies, specialty coffees, and in my opinion, the best acai bowls in SD. Nothing beats a cute hole-in-the-wall coffee shop with friendly service and life-saving food and caffeine. 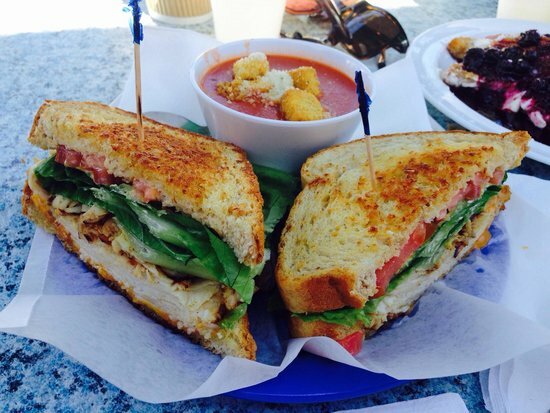 Grab it to-go and eat up on the beach for an unbeatable experience. Ah, Sarah’s… Trust me when I say you’re going to become very acquainted with the lovely Sarah. Located in South Mission, a few blocks from the roller coaster, makes it the optimum location for your mid-afternoon, Saturday dager drunchies. Count on finding the majority of the Torero population swarming the counter around 4 o’clock most every Saturday. 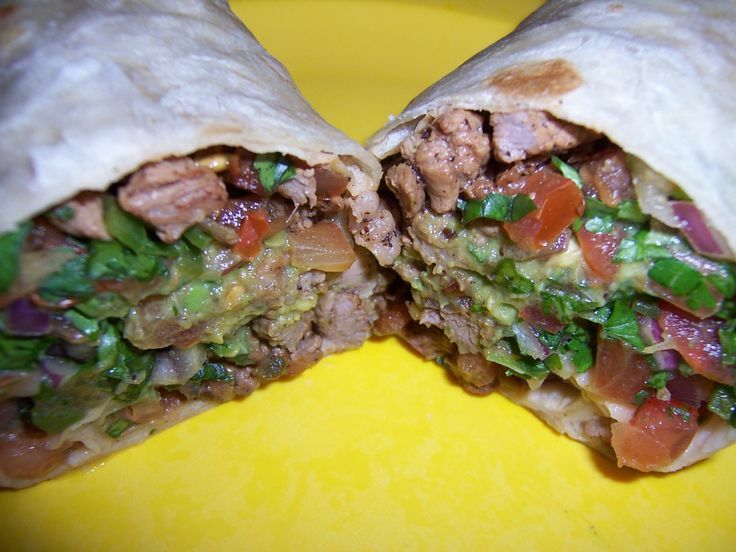 Great Mexican food at a great price. Stacked brings a whole new meaning to DIY. Not only do you personally order for yourself on iPads at your table, but you basically make up whatever your imagination can concoct within your order. 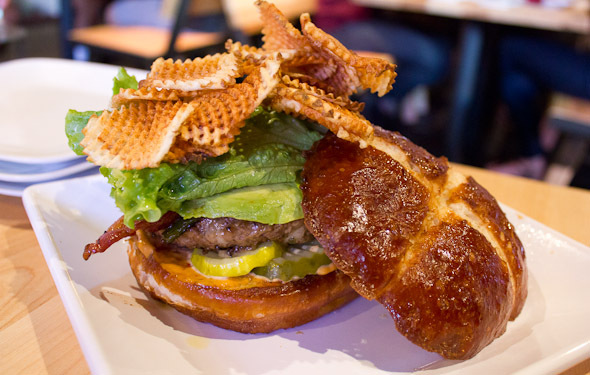 Burgers, sandwiches, shakes, fries, mac n cheese, you name it, you create it! Located in the Fashion Valley Mall, it’s about a 5 minute drive from campus. Now go out there and eat the best food for the next 4 years of your life!… And maybe get an education while you’re at it. Interested in Spoon University USD? Email Sam Voge (Editorial Director) at: svoge@sandiego.edu for questions or applications. We’re lookin’ for ya!